I once was a temple built for Zeus, the supreme god of religions, or Apollo, the protective god of the city. People entered my temple looking onto the Bos­phorus, to be protected, to speak and to pray. Then came Rome, with huge ar­mies behind it… First, they destroyed my city, then Marcus Aurelius Antoninus had pity on me. They reconstructed me, and my city walls. They also built a Hippodrome. Then Antoninus called me after his name, soon the Romans called me as such. Then my new Roman owners fought against each other. First, Con­stantine dominated the East. 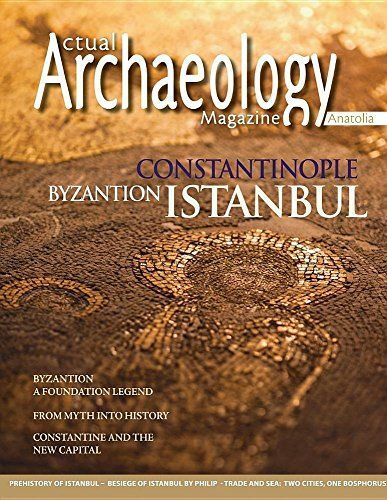 Byzantion was a small city, Constantine made it the capital. He named it Constantinople; the city of Constantine. His mother Helena admired the new religion, and in time she became Christian. The new founder of the city, the owner of the new world, Constantine, now permitted the believ­ers of the new religion. Thus, those who had come to worship Zeus and Apollo before now wanted to change me.